thank you for the photos Karim. Enjoyable as always. Those buildings really do work well. 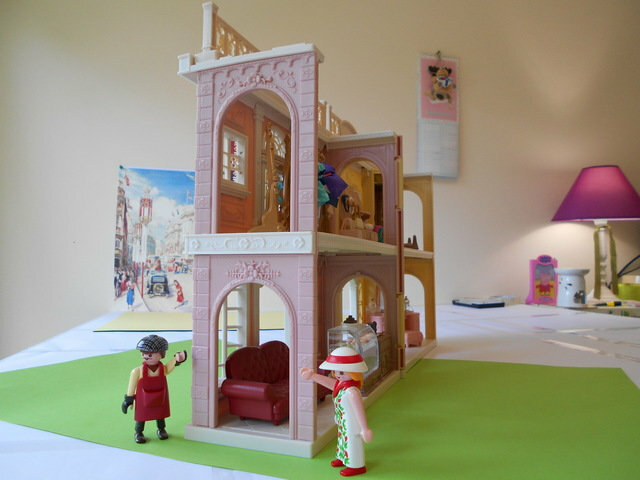 I might have to investigate some of the furnishings for my dollhouse as Playmobil are no longer doing antique style furniture. I hope that you are all well and that the back to school & work went well. I will today share with you a few of my golden rules when it comes to creating a diorama. 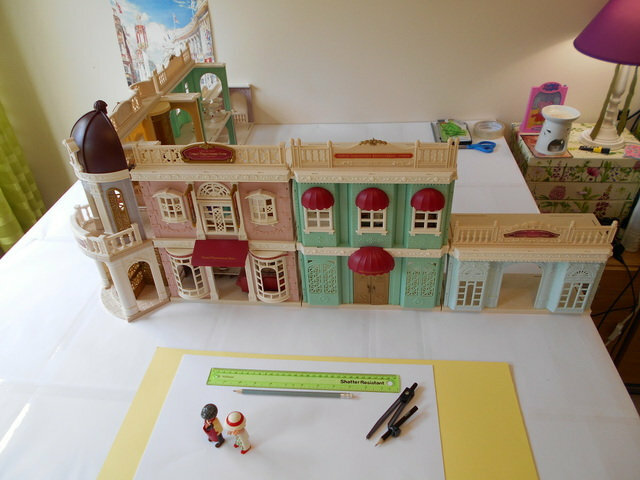 The saying that "everything is a matter of size" is also true in the world of miniatures and dollhouse accessories which scales range from 1/6th to 1/48th ( with 1/16th, 1/12th, 1/24th scales in between ). 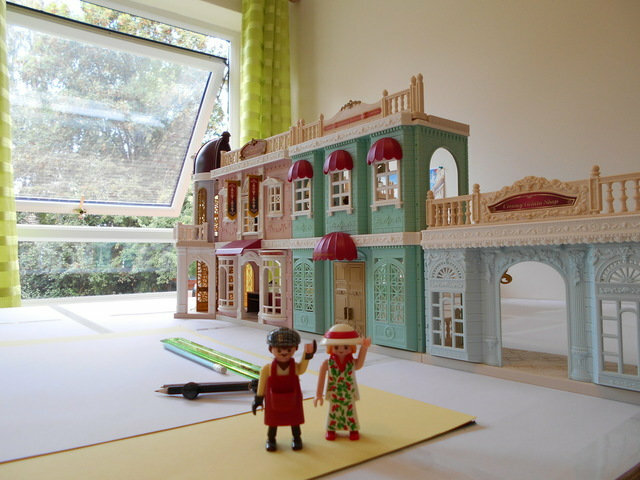 It can be rather confusing especially when the creators of our little Klicky did not facilitate the task with a figure which size is closer to the 1/24th scale but most accessories are on a 1/12th scale in order to be more easily manipulated by kids hands. 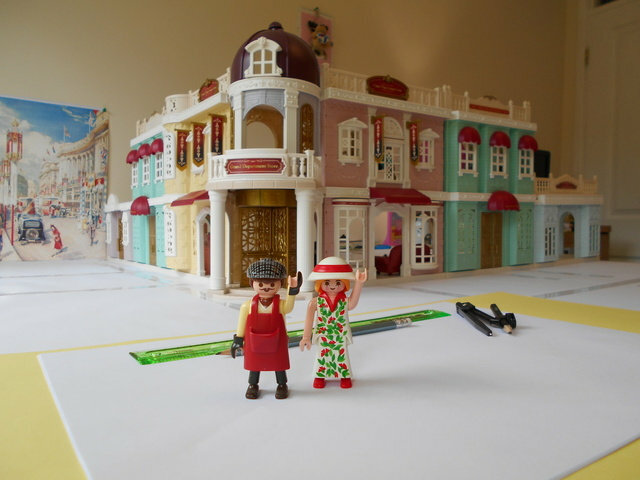 This represent a real challenge when it comes to accessorize a Playmobil theme since only the 1/12th scale s Playmo compatible as long as one avoid all personal accessories such as a pair of boots, a bicycle, an umbrella, etc. which would "dwarf" our Klicky to the size of a young child of 3 to 5 years old. But any non personal accessories such as a plate, a drinking glass, a vase will be Playmo compatible. 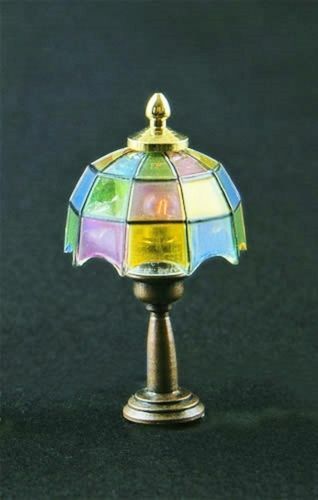 If in doubt, especially when it comes to ordering online, always make sure that you are selecting the smallest item of the range, ie the smallest plate, flower bouquets,table lamp available at a 1/12th scale which will look much better in your decor instead of "dwarfing" it by its oversize. 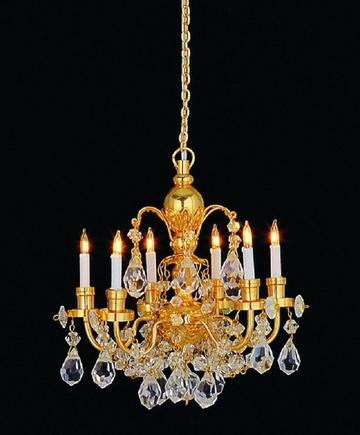 A good example will be a chandelier which one will select with a maximum of 2/3 branches or lights. 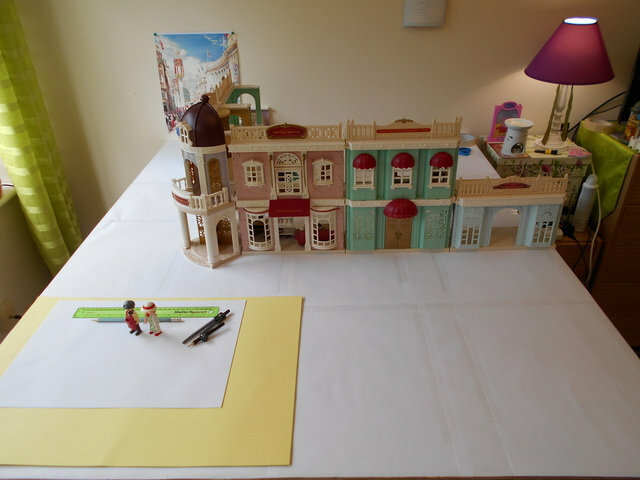 The miniature world has an infinity of themes and accessories and it is really easy to fall for an item which once delivered will be more suitable to Barbie's house rather than our Playmobil range. The above examples remind us that as far as accessorizing is concerned, simplicity is always a winner. 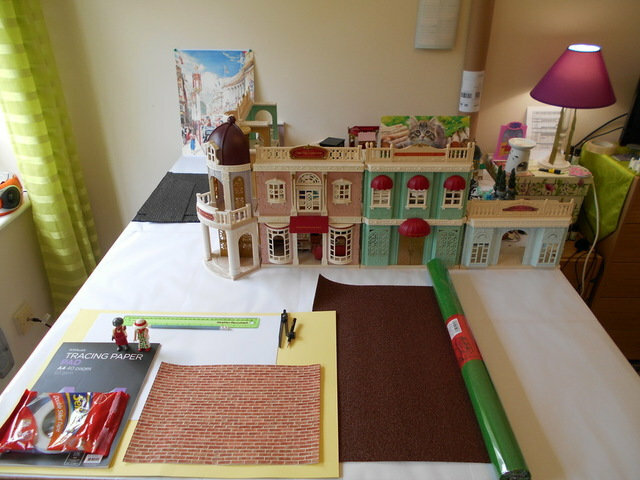 We all dream of creating a large diorama, but in reality and unless it is aimed at an exhibition or if you are lucky enough to have a room entirely dedicated to your Playmobil collection, the available space to create a diorama such as mine is a careful process which is about exact measuring and the accessibility. As far as my previous project was concerned, I had in Luxembourg enough space to accommodate a 3m x 1.5m diorama when I can only fit a 1.5m x 1.25m in my current space. A diorama accessible on 3 sides which allo me to work either standing up or sitting down for all meticulous works. Needless to say that on such a reduced surface, every square inch will be precious in order to create the diorma of your dreams. A little trick is to put on the wooden surface of the board sheets of A3 white paper upon which one can draw the pre contours and designs of the future decor and erase / adjust them if needs be. From these drawings of the decor, one will then cut out patterns from coloured paper representing elements such as lawn, soil, pavement, etc. These patterns cut to measure will then be used to cut the final material to the exact size required and will save material and money as a result of the possible waste of an approximate cut. As long as the diorama is protected from excessive humidity, this base of the décor can stored in a dry area for years and even rolled from the momen that the lements of the decor are not fixed, ie street lamps, hedges, flower beds, etc. All my dioramas are conceived this way. Selecting the materials of the decor can also be quite tricky due to the infinity of choice in terms of colours and textures. Even the colour and texture of the lawn will matter, and the shade of green used will result in a realistic or not effect. 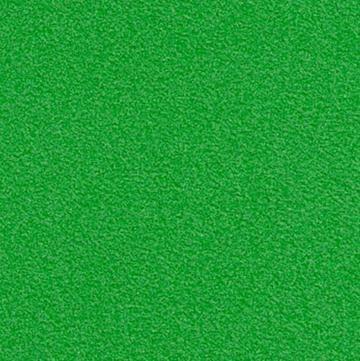 A good example is the matérial which I will use for my lawns selected for its realistic colour and texture - available at £7.99 in a enerous dimension of 1.2m x 0.6m. The second material is lacking of realism as far as I am concerned. 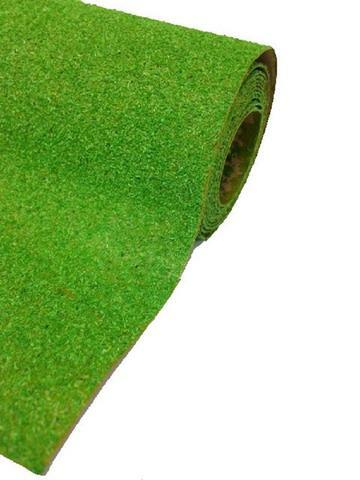 Another trick to find a material which will represent a rather realistic garden soil is to simply order a brown colour dollshouse carpet, often self adhesive. Available in a dimension of 48cm x 33cm. The more I looked at the Sylvanian New Town series buildings, the more I fancied gently customizing them with added realistic visual touch through a brick design to bring unity to the architectural ensemble. 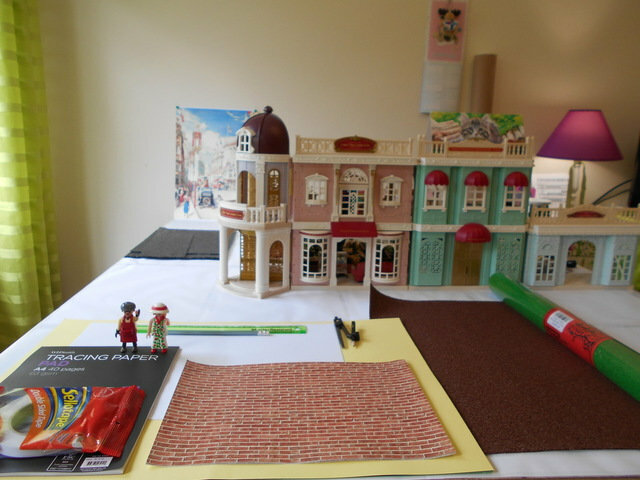 If the test is satisfying, this could possibly be a great adition to the project just like it was with the N°1 Regent St mansion which Monsieur Firmin and Miss Periwinkle had so patiently decorated. A meticulously precise cutting work since the visual effect of the brick rows must be at the same level on the outside wall. 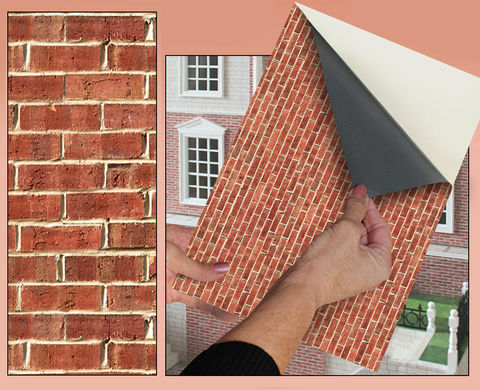 This brick effect is available on self adhesive sheets measuring 31cm x 22cm with a relatively easy use which allows repositioning. The adhesive qualities as well as the longevity of the colours are excellent and stood the test of time on my N°1 Regent St mansion which was exposed to direct light next to a bay window for 2 years without any alteration of the original colours. The brick effect is also excellent as a background to all plants such as climbing ivy, roses, hanging baskets which will of course grow on the front walls of New Regent St. These self adhesive sheets are also available in 72 other varieties of decors including tiles, wooden floor, stone pavement, roof tiles and slates, English style lawn, wallpaper, ceilings, etc. Laying Bricks has never been this easy ! 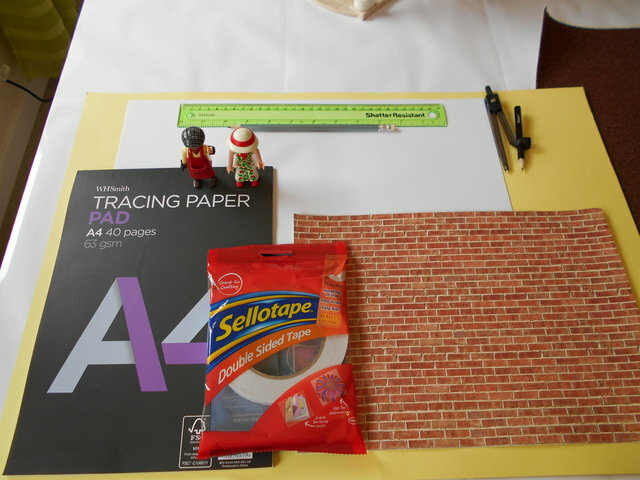 It is with great anticipation that I was waiting for the delivery of the brick effect self adhesive sheets - the same material I used on my previous project - in order to appreciate the effect it would have on the Sylvanian buidlings. Buildings which all have their own individual designs with a front wall infinitely more intricate than the Playmobil mansion. Different architectural designs as well as external colours to which I want to bring a visual sense of unity through a brick effect. A brick theme which should respond well to the brick effect pillars and pavements found in the gardens to come as well as the pedestrian street. The brick effect is a wonderful background to climbing plants, hedges and hanging baskets, etc. Though subtle, this test went rather well. And as per the complexity of the building's front wall, I used tracing paper in order to prepare the patterns to cut into the final material.